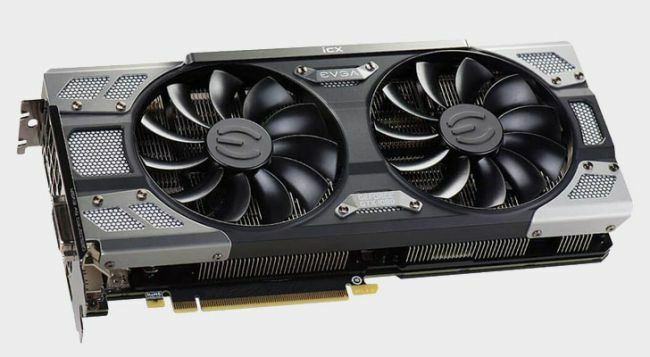 Last week, EVGA's GTX 1080 FTW2 DT was $460 from B&H. If you missed out on that deal, here's an even better offer. The same card is now just $429.99 on Amazon, making it one of the cheapest 1080 cards (if not the cheapest 1080) on sale right now. If you're not familiar with EVGA's lineup, the 'DT' marker means it cannot overclock to the same level that normal GTX 1080 FTW2 cards can. It runs at the stock 1607 MHz, and can boost to 1733 MHz. You might be able to get some overclocking in, but your mileage may vary. You can buy the GTX 1080 FTW2 DT from Amazon.